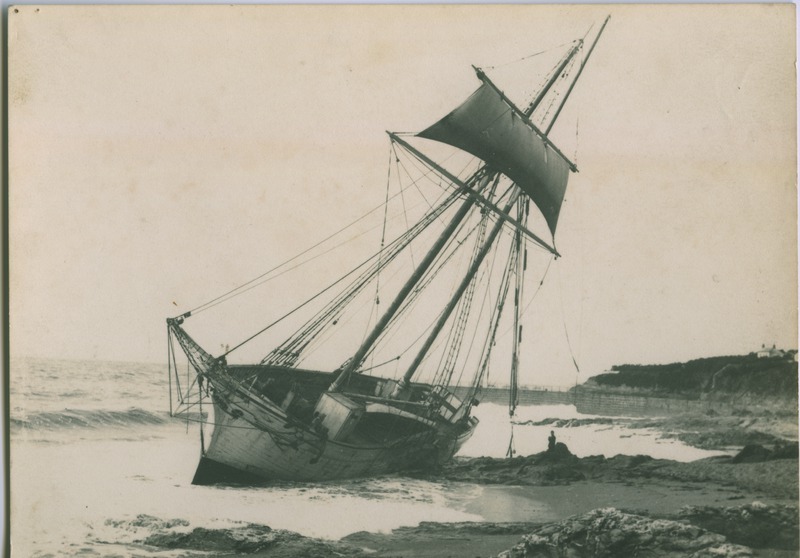 French schooner St.Anne, wrecked in south west gale near Porthleven harbour mouth. Crew of 6 saved by Life Saving Apparatus. Last sailing vessel to be wrecked in this area, en route from Cardiff to Vannes. Gibson, “French schooner St.Anne, 1931.,” Morrab Library Photographic Archive, accessed April 19, 2019, http://photoarchive.morrablibrary.org.uk/items/show/16368.